WE WILL NEVER STOP THE FIGHT NEVER!!! Typical reform logic. Save us all by our differences because the big focus of a jew is special. Wrong. The true focus of a jew is holy. Only our faith in G-d is “special”. Free deals for toeivah. We must have a war against heresy. The reform get kiruv. That clearly does not mean toeivah conversion in a holy mikveh. Mr. Riskin babbled for four and a half minutes into this video until he finally admitted, “I don’t understand it”. He should have stated this at the start of his silly argument that “Conservative & Reform is not our enemy”. Does Mr. Riskin realize that the Conservative & Reform movements claim that the Torah was written by various men and women over time? They don’t believe that Hashem gave us his Torah. Does Mr. Riskin know that many of the leaders of these 2 deviant groups don’t believe in Hashem at all? And on and on and on and on………….. Look at their own disgusting websites. Mr. Riskin was right, but only when he stated: “I don’t understand it”! Conservative & Reform are as Jewish as Islam is a religion of peace!!! Conservative & Reform are not Jewish practices and Islam is not a religion of peace. Satans “rabbis”. They add to your years as they compare Israel to goats. Throw the nation down the mountain… No one will be better that the goat herder. Hashem is a shepherd. The reform lie to the dead to get their blessing of being able to have a penny. Total hate trick and not from our fathers. Fix this and we have Aggregated honor. Until them, no one has a G-d stronger than Hashem and we will see how he rips the enemy out of our day. Fractures in the integrity of the soul. They let you have toeivah for the sake of the kriah you must pray never to yet see. Does any one else see how horrible this man has coal in his hand to burn the learned? We can not see peace with heretics discussing how Hashem can give us a herd. We are a flock. Lemaaseh, I found the entire interview very interesting. I see he was very critical of Obama and his refusal to call out radical Islam for the danger it really poses. He dodged the American election question, nicely. Gee, I wonder what Charlie has to say about the Rabbi’s criticism of his G-d, Her Obama. You HAVE to root for the CAVS against Golden State. Curry’s Hebrew Tattoo is an offense to Israel!!! This guy can’t be frum. He’s likely a חוטא ומחטיא את הרבים in the fullest, as described in מסכת הורית and in שולחן ערוך. This guy probably understands halacha inside and out better than you! He is no am haaretz in its literally sense.now on his hashkafa i have no comment! 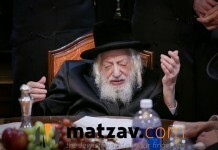 Yochanan Kohen Gadol became a Saducce at age 80. 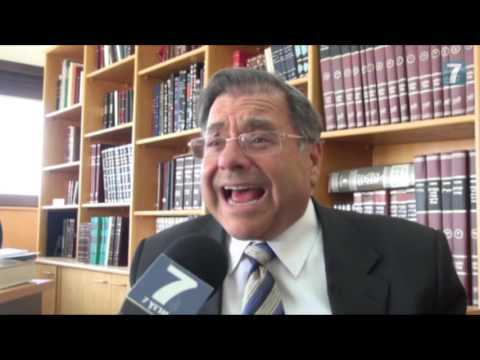 Rabbi Riskin just lost it at a younger age. He is completely off base on this. Your ideas are all so peace-loving and fuzzy. BUT YOU ARE NOBODY to be going against our Gedolei Yisroel!!! I don’t know what Modern Orthodox means, but if it includes going against the opinions of our Gedolei Yisroel, then stop calling yourself Orthodox. You and Mr Weiss. It’s only a matter of time before he publicly endorses open orthodoxy heresy and allowes a woman rabbi in his shul. 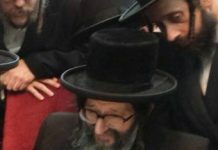 He allowed woman to lain Rus for the kehilla this Shavuos! His website is a joke, looks like reform too, and of course he would sooner embrace a priest than a rabbi. Him and stav should be put in cheirem. The somrei torah declared war on Reform? What idiocity. Its the Reform who come to kosel and declre war on the torah. They are the ones who came to break down walls of kedusha etc etc. So when one defends against the enemy they are declaring war? Its the reform that declared war against G-Ds torah 200 years ago, not the shomrei torah agains Reform. There was no Reform Same with all movements against the torah in all generation. Someone get this guy some water. That sound he makes each time he babbles gives me the creeps. The reform have done a great job here in America. Now they want to import their talent to Israel. In America the reformed rather deformed have managed to destroy their youth. They are running out of people to destroy so they need to look for victims in israel. The Reform movement and Yariv Levin, the Israeli Minister of Tourism, have experienced a falling-out. Levin is one of the most prominent ministers in this government, a close associate of Israeli Prime Minister Bibi Netanyahu and one of the senior members of the Likud party. His remarks evoked hysteria in the ranks of the Reform. Levin himself, after all, is totally secular and is one of the most influential ministers in the government. The director-general of the Reform movement in Israel called to boycott Levin until he retracts his comments. Galei Tzahal also reported this week that Rabbi Rick Jacobs, the president of the Union for Reform Judaism in North America, announced that as long as Levin maintains that Reform Jews do not have the right to voice their opinions regarding the Kosel, he will not be invited to speak in any Reform congregations or organizations in America. “Levin will not teach us what it means to support Israel,” the Reform clergyman added. Judaism means to live according to the Torah. As Reform “Judaism” is based on Torah violations, it’s not Judaism.